I was really pumped about the product at first but after extensive use I have to deem this product a "dud" from my experiences. 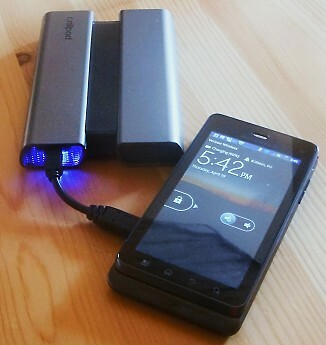 In the beginning it charged well (2 full charges for my Droid 3). 3000+ adapters to charge many different small devices. We have all been there. We need to use the GPS and the low battery indicator is letting us know we have limitations (and still lost...) or halfway thru our weekend trek we don't have enough juice to order that piping hot 12 cut pie from the local pizza shop to mile marker 38. Well up until recently I have been using solar. But it has its limitations (the sun doesn't always want to cooperate.) So now what? 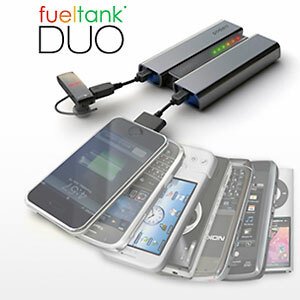 After a some what extensive search I came across the Callpod Fueltank Duo. 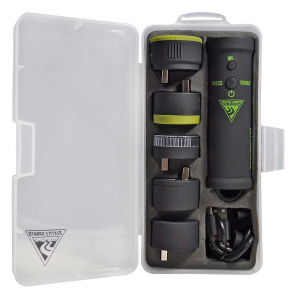 It is basically a lithium battery pack that can be charged at home and it will provide the backup juice to keep your handheld/mobile devices running when you're on the trail. Its also featured in the BP (4-2011) gear guide issue. 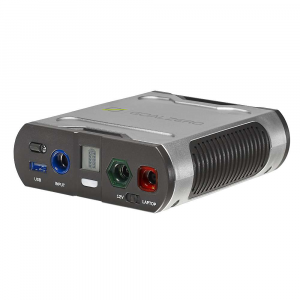 It is a 4300mah lithium ion battery pack that weighs in at 7.5oz. It has 2 charging ports. 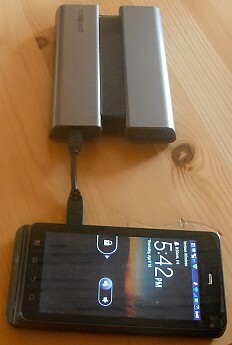 Yes, that's right, you can charge two devices at once. The dimensions are roughly 4.75"x 3.5" and it is 1" thick. 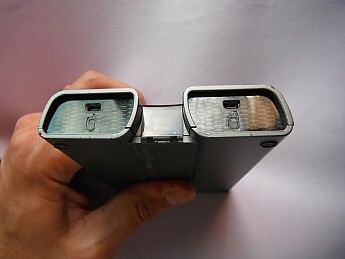 The unit is made of a plastic type of material. I didn't research that too much because I didn't plan on using it for flint knapping or ice carving when boredom sets in. On the opposite end of the unit there is the charging port that is used for.... Yep you guessed it, charging the unit. 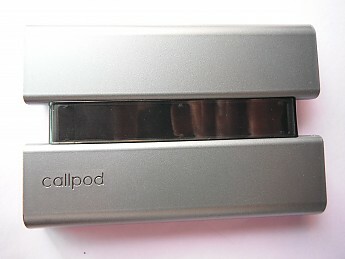 There is also a button that you can press to check how much juice is left in the Callpod. Basically you press the button and there are 6 leds on the top (red, orange, yellow, and 3 green). Yes, green means go. When charging the unit there is a separate green led that lights up to tell you it's taking the charge. When the charge is complete it goes out (finally something simple enough for me to figure out). The unit has "Proprietary voltage regulator technology" that determines the amount of power required to charge your device. When finished charging a device it is recommended that you disconnect the device adapter from the Duo. This turns the unit off and conserves juice. 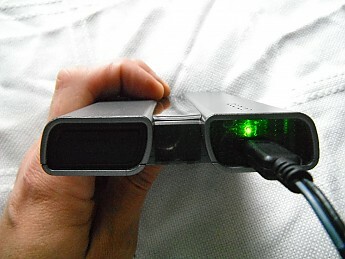 If the connectors are left in longer than needed the unit automatically goes into power saving mode after 5 min of inactivity. 2) Ya get 3 adapters. A micro USB, a mini USB, and for all the iPhone lovers out there, ya get a 30 pin for Apple products. There is also a coupon in the box for a free 4th adapter of your choice. 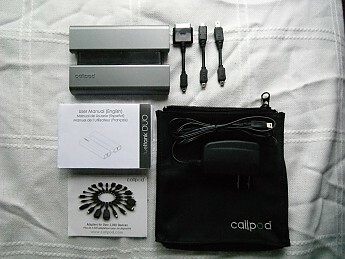 Callpod has around 3000 different adapters so I would think you could find whatever one ya need, although I have heard that some of the older (Pre-Cambrian) model cellphones/device plugs are non-existent. If ya need to purchase more adapters out of pocket you will take a $10 (usd) hit per plug. 3) Wall charger for the unit. 4) A zippered pouch to put it in to keep dust/tundra seasoning off the device. 5) Instruction booklet, warranty info, etc. 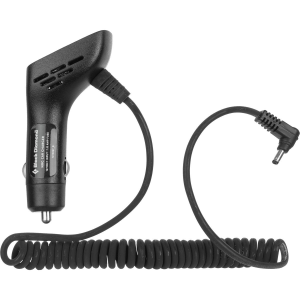 There is a car charger available for the device. I have had this unit for a bit now and it does exactly what it claims to do. I have seen 5 full charges on my Moto Droid 3 in the field with a little juice left over. It charges the phone in a little over an hour. When it is finished charging your phone, etc. the blue led goes out. I just love simplicity. 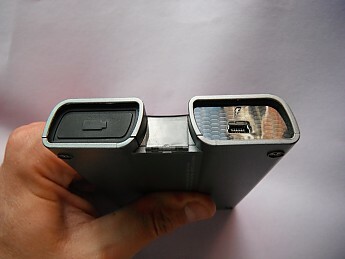 The device will charge phones, GPS units, iPad style devices, Kindles, etc. It WILL NOT charge a laptop computer. It doesn't have that type of juice. I am not one to need this type of capability. I order my pizzas on the phone. 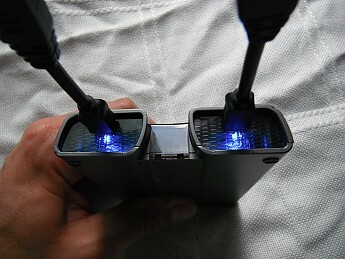 If you like me are in the search of a cure for your "dead battery plague" that seems to haunt you when ya need it the most check out the Callpod Fueltank Duo. It just may be the cure you need. It retails for $70 (usd.) With a search I am sure you can find it cheaper. Happy hiking. I have encountered a problem with the Callpod Fueltank Duo. When you plug the adapter cord into the charging unit there is supposed to be a blue light that indicates that the unit is charging. So this leads me to believe that there is a bad connection in the circuitry somewhere. This problem also affects the port where the wall charger for the unit is plugged in. 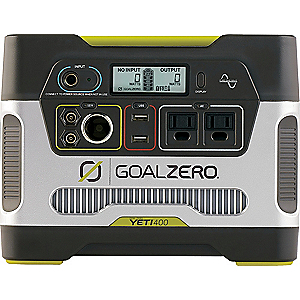 For the most part when the Callpod works correctly its a pretty decent little unit but I can't trust it on the trail like this nor am I going to take any chances. 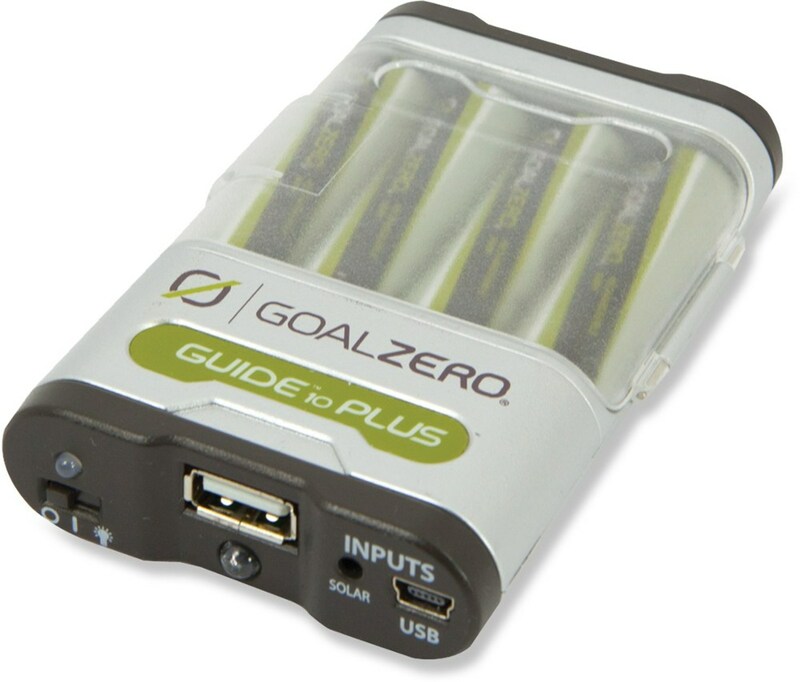 I would recommend against using the Callpod Fueltank Duo in areas where one has to depend on it. I just can't put my faith in this unit. 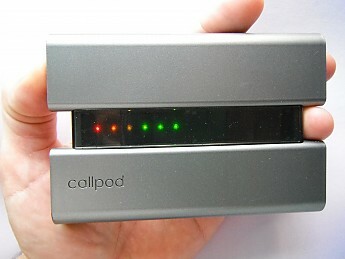 The Callpod Fueltank Duo is not available from the stores we monitor.